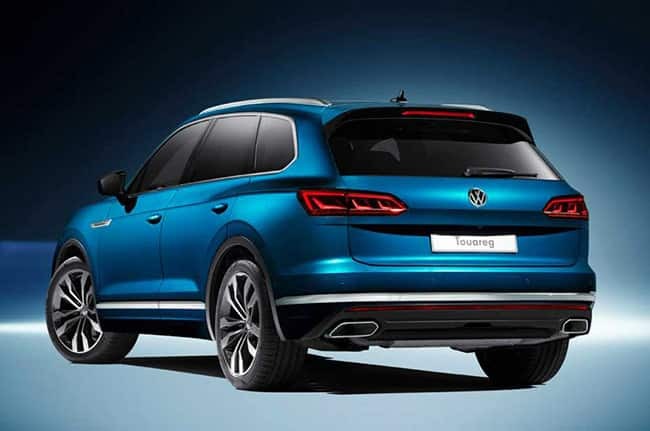 The new Volkswagen Touareg is wider and longer than the car it replaces, yet it's also more than 100kg lighter. It sports a large front grille with wide air intakes, thin LED lights and can sit on alloy wheels ranging from 18-21in. Volkswagen offers a new infotainment interface inside and has a 12in digital instrument cluster can be joined with a 15in infotainment screen to become one long panel that's partly angled towards the driver. This system includes Apple CarPlay and Android Auto smartphone connectivity, four USB ports and a WiFi hotspot. 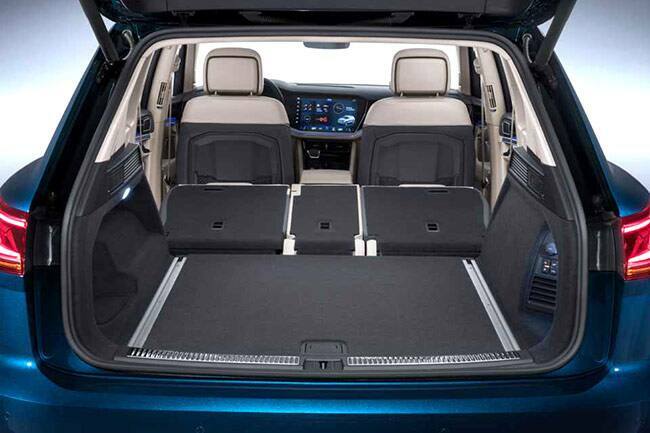 The Touareg has five seats, despite rivals including the Q7, Discovery and XC90 all offering space for seven. 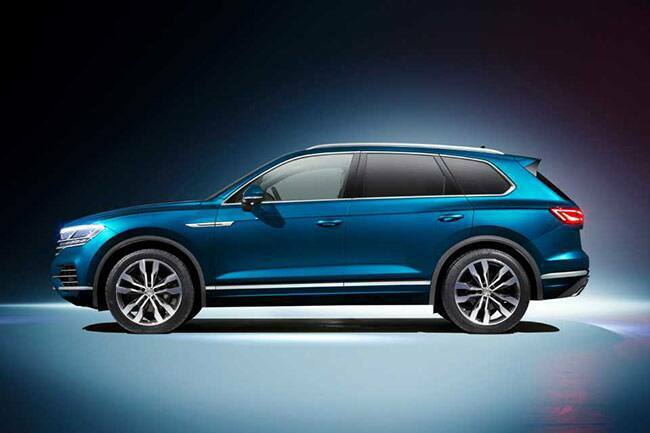 Volkswagen has not revealed the price yet but is expected around £50,000. There will only be two engines to choose from initially, both 3.0-litre V6 diesels with either 228bhp or 282bhp. In the old car, it's the more powerful V6 diesel which we recommend. Shortly after launch, the engine range will be expanded to include a 335bhp 3.0-litre V6 petrol and a 416bhp 4.0-litre V8 diesel. 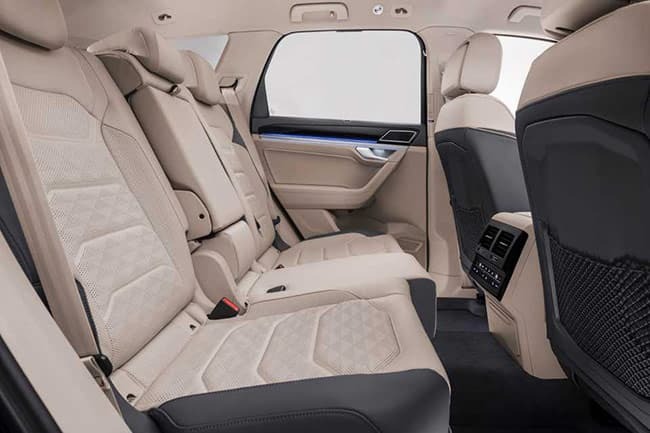 Other features inclusive in the car are LED lights, cloth seats, a 9.2in infotainment screen, panoramic sunroof, dual-zone climate control and automatic wipers, plus automatic emergency braking with pedestrian detection.